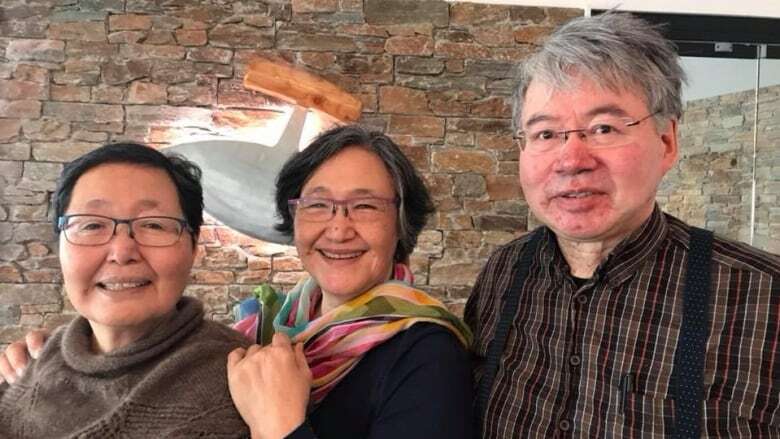 When she looks back at her childhood growing up in a small Greenland community, to her life now, as one of Canada’s first tenured Inuit professors, Karla Jessen Williamson still feels a sense of disbelief. She is one of the very few Inuit professors working in academia, as an assistant professor in education at the University of Saskatchewan. "It's still a dream world, of being able to make things happen," she said, of her work in producing publications or being asked to speak at forums from the United Nations to an upcoming G7 Summit. "It's like, 'What an honour.' But look at my grey hair," she said with a laugh. "I really worked hard at it, and worked hard at in a way that makes sense and that is well grounded that I can articulate across many levels of society." As a very young child, Jessen Williamson and her family were uprooted and moved by the Danish government to a larger community, an experience she said many families experienced with a sense of dislocation. Racism and colonization were both rampant, she said. "You were never good enough in anything you do," she recalled. "But at the same time, I was very quietly determined to see how I can use that system to actually produce a profound knowledge based on the Inuit traditions. And that's what I did." After coming to Canada, she's developed a connection with the Inuit people in Nunavut and in her home community in Greenland, for research on Inuit knowledge systems. While she speaks Danish and English, it's the Greenlandic native language that has kept her rooted and connected to these communities, and it's that language connection she said she can never lose. "Without that, I would never be welcome back home, I would never welcomed by the Inuit here in Canada." Now, her daughter and grandchildren live in Iqaluit, Nunavut, another tie to the Arctic that she describes as the "best part of the world." "The Arctic is incredibly exciting for those of us that are from there, and are also living there," she said. Globally, eyes are on the Arctic as the canary in the coal mine for climate change and also, as a potential source for oil and gas extraction, she noted. "As human beings, we have real responsibilities to prevent disasters that are happening," she said. "Obviously, it's something Inuit have thought for millennia that as human beings, you can not indulge in yourself in thinking you are it." "And when you can succeed, it's like wow — you can make people dream."